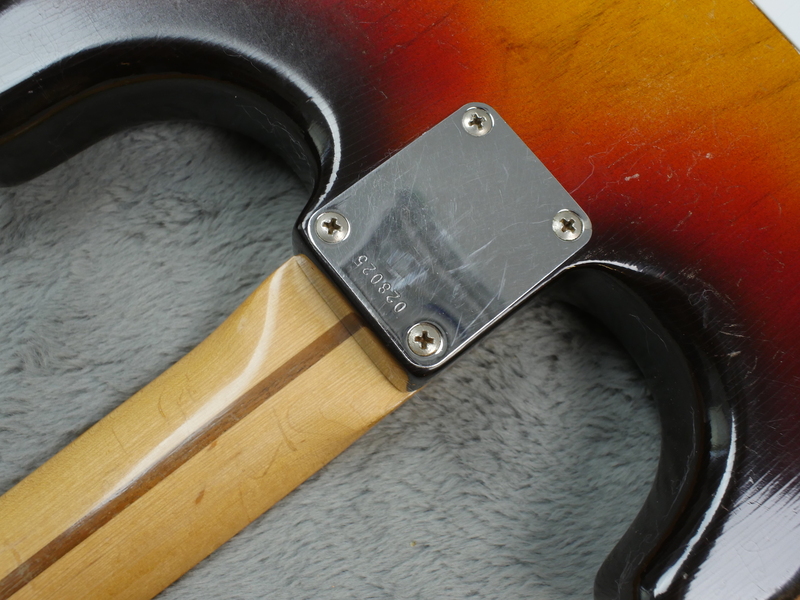 We’d all like to get through three score years unscathed but ultimately the best we can hope for is that we get there with everything working correctly. 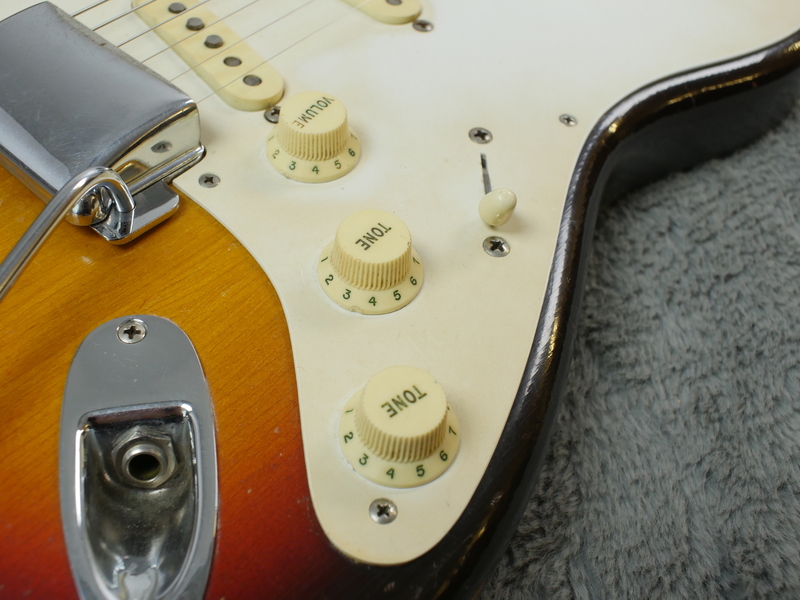 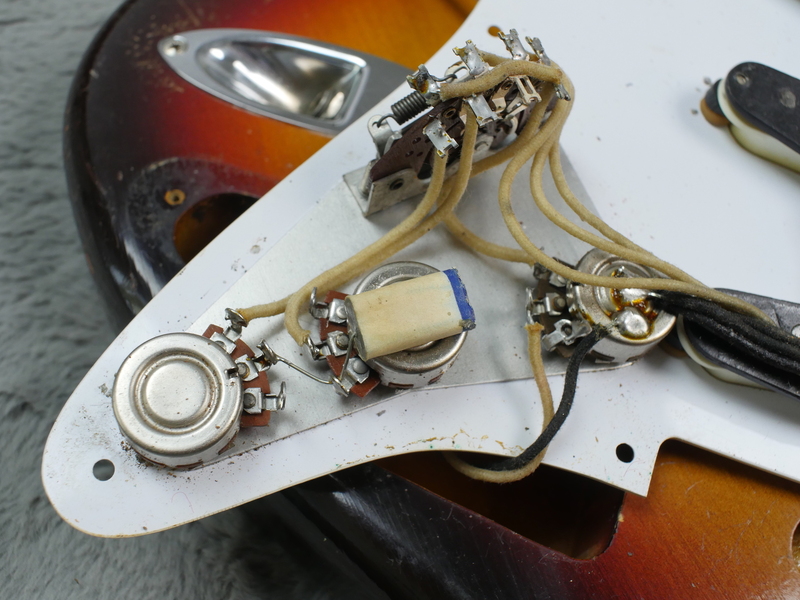 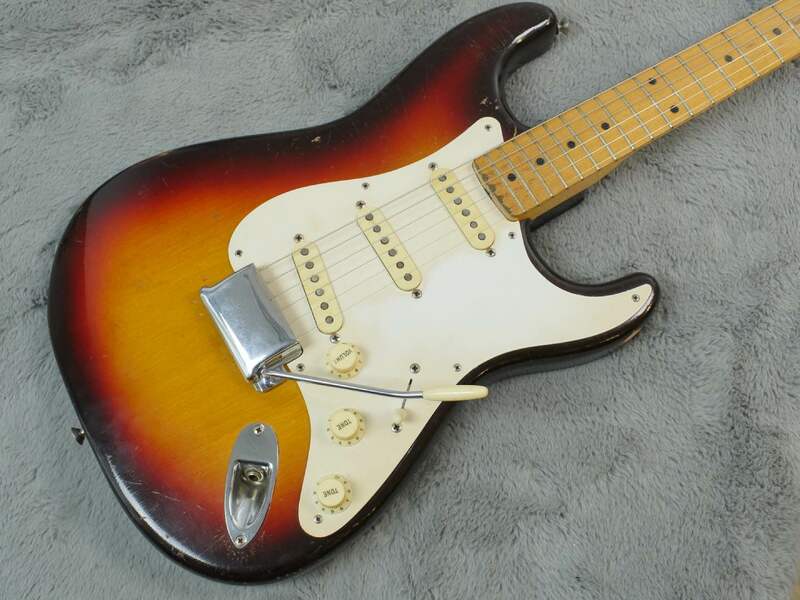 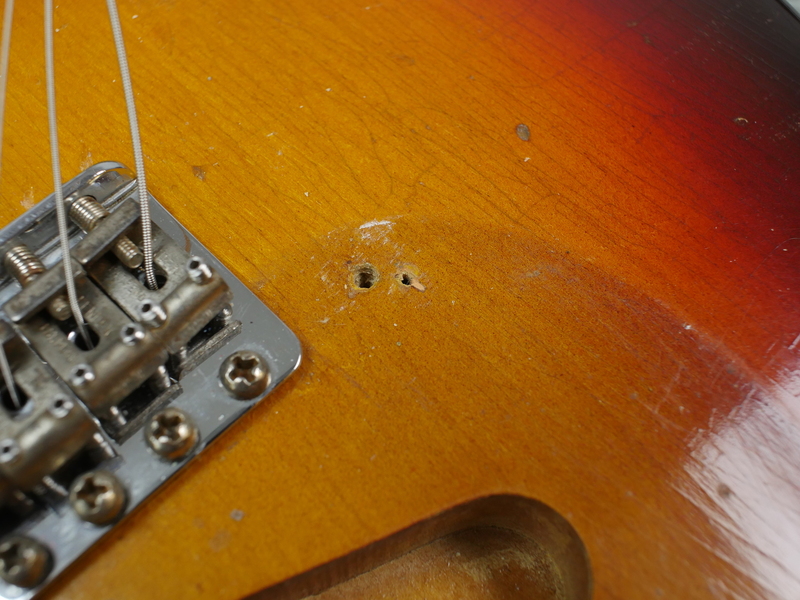 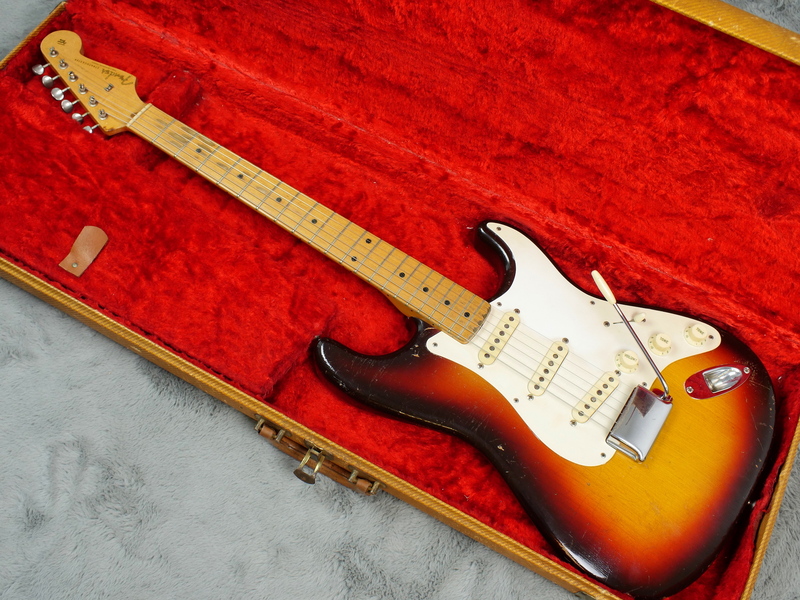 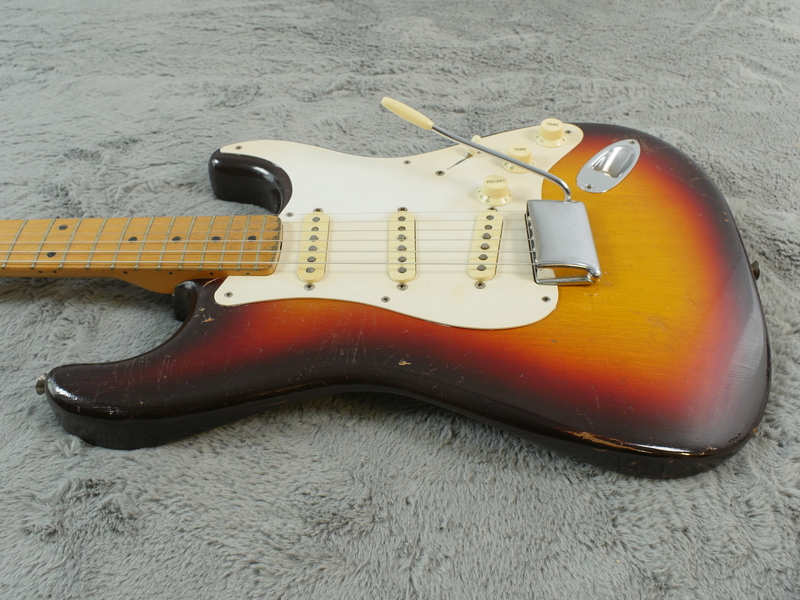 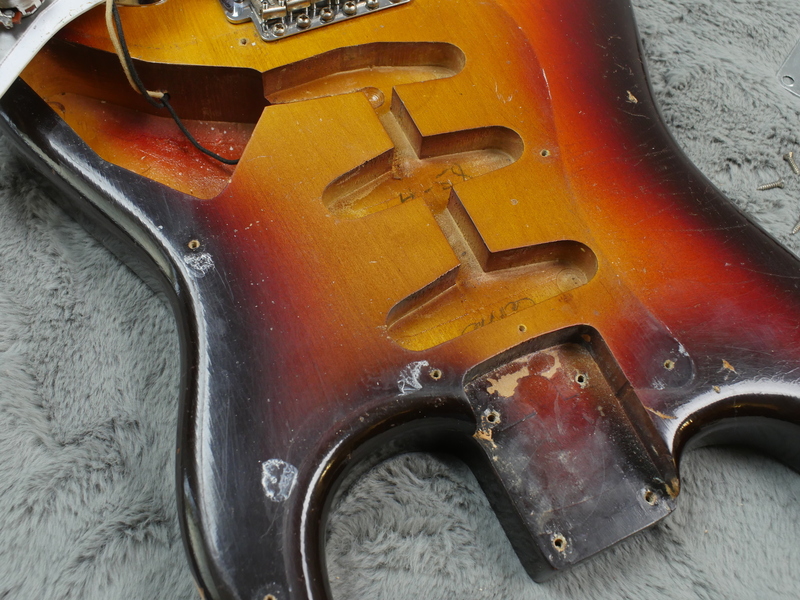 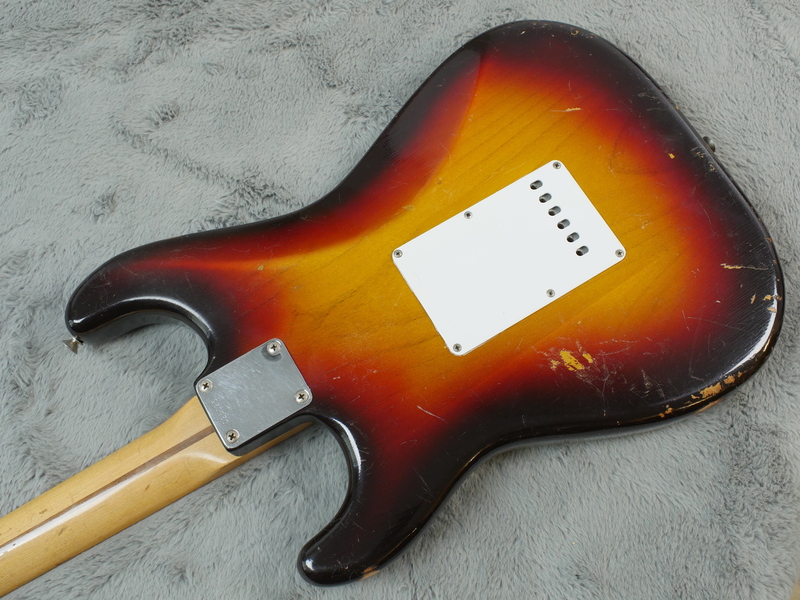 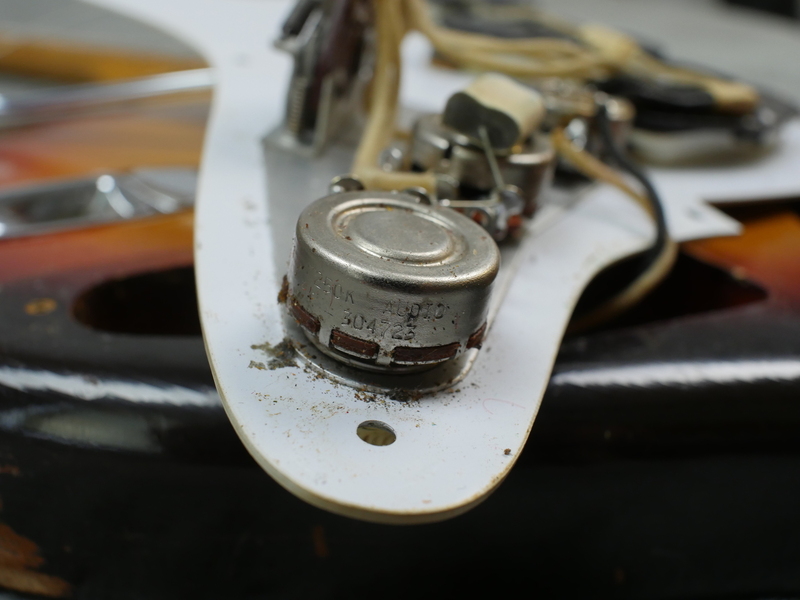 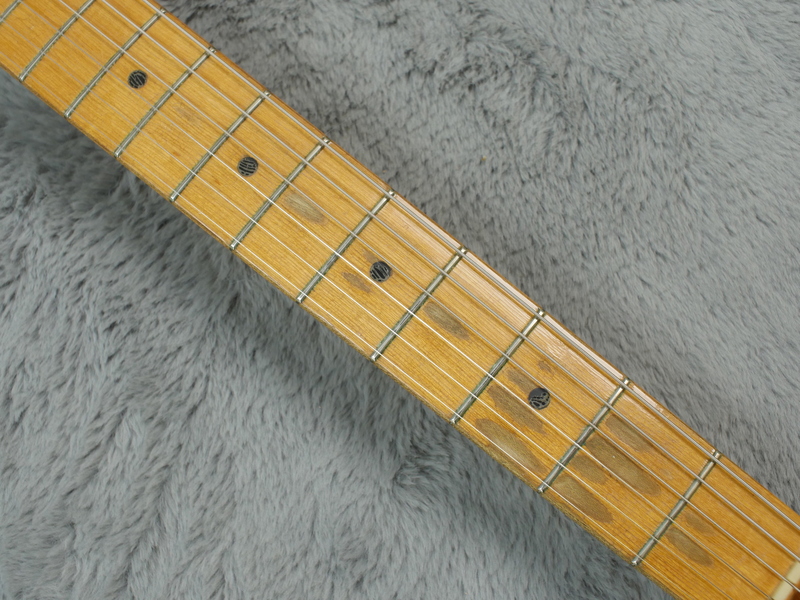 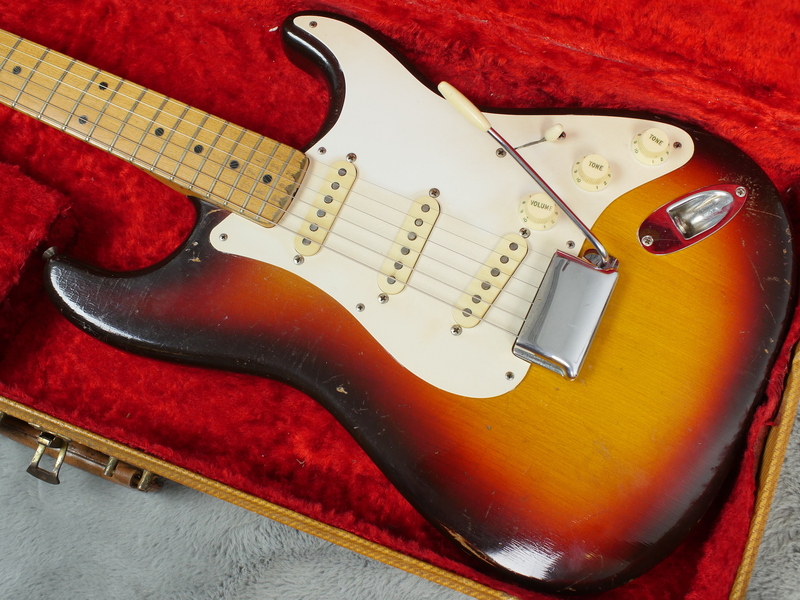 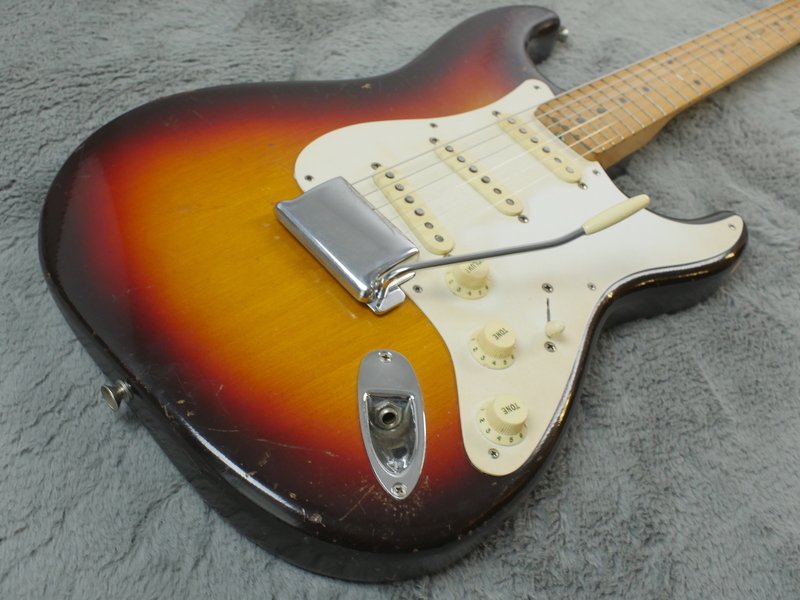 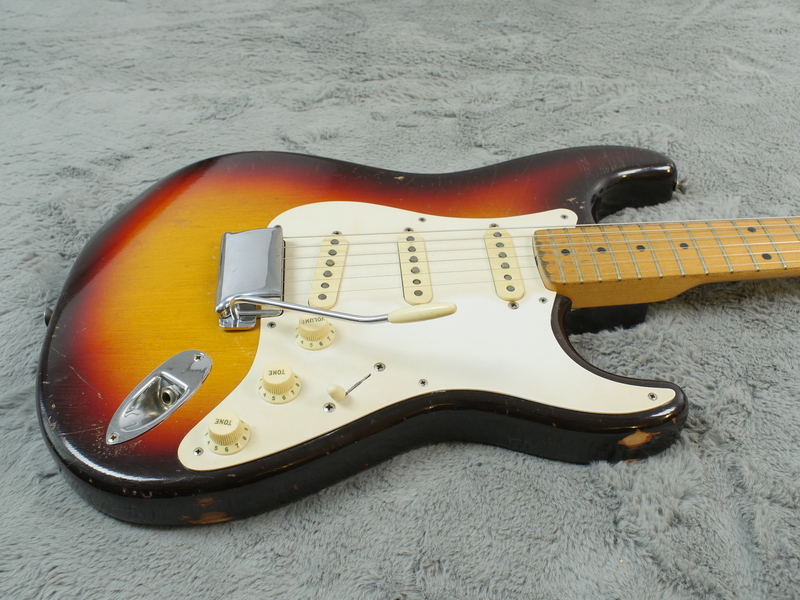 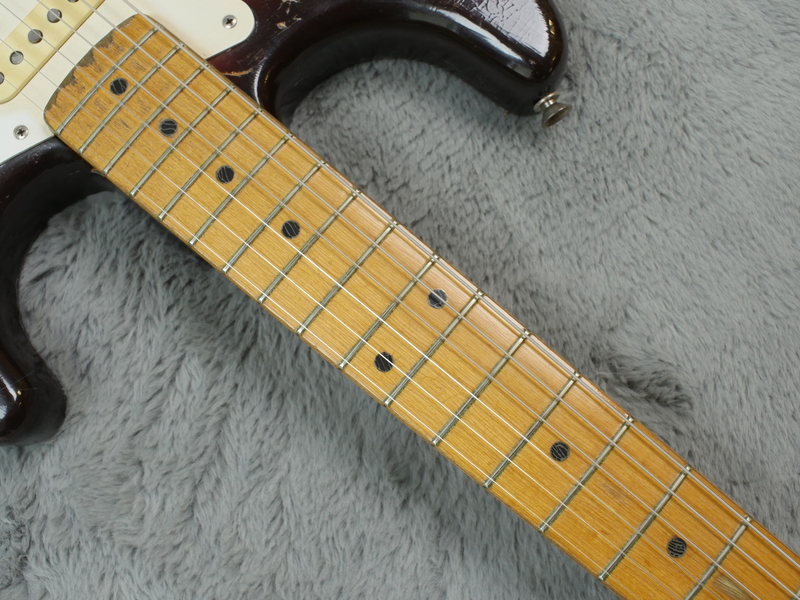 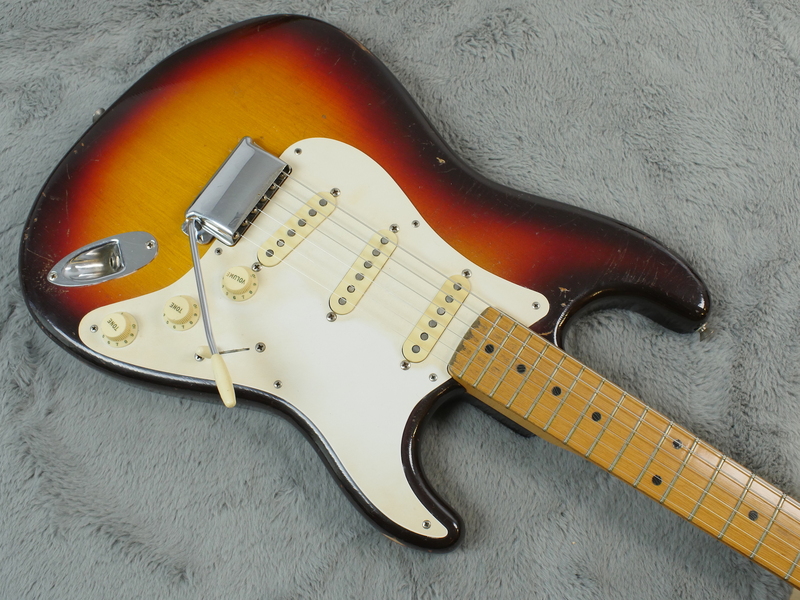 This 1958 Fender Stratocaster, the first year of the three-tone sunburst, bears a few scars but wears them so well. 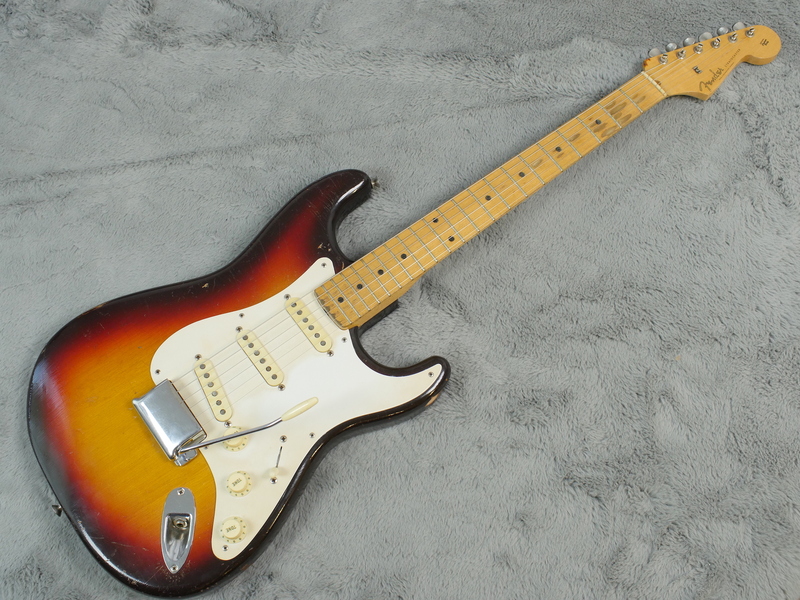 This guitar’s three tone sunburst is impressive. 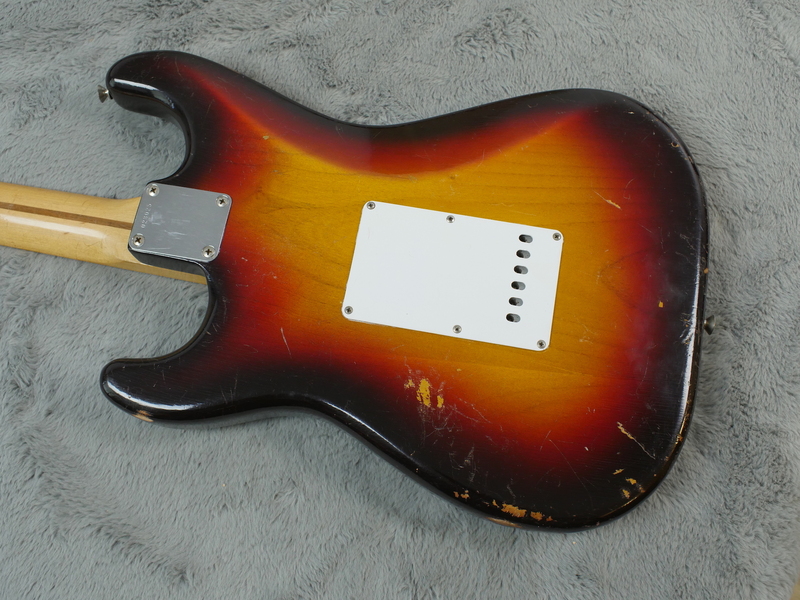 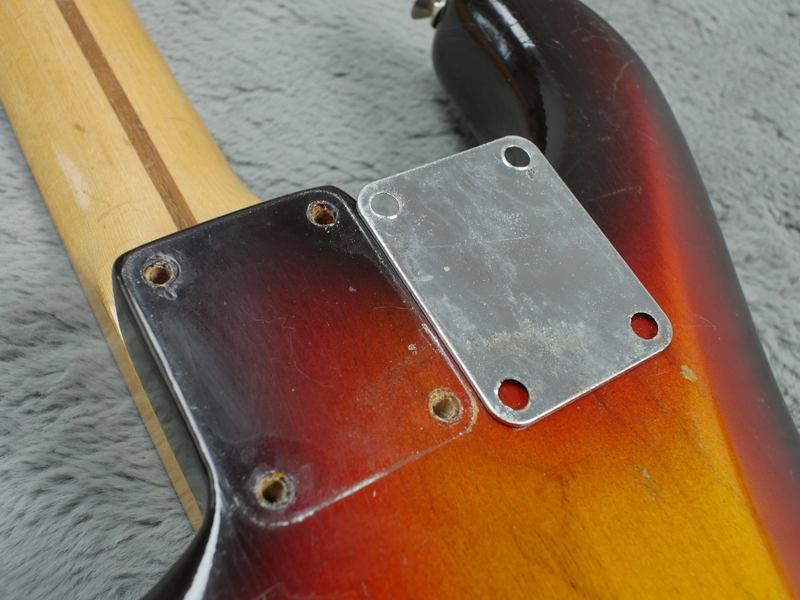 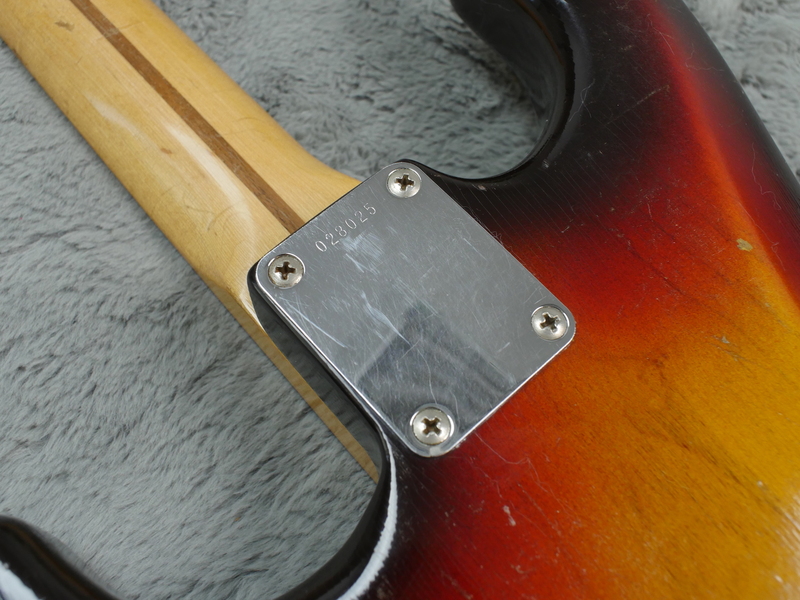 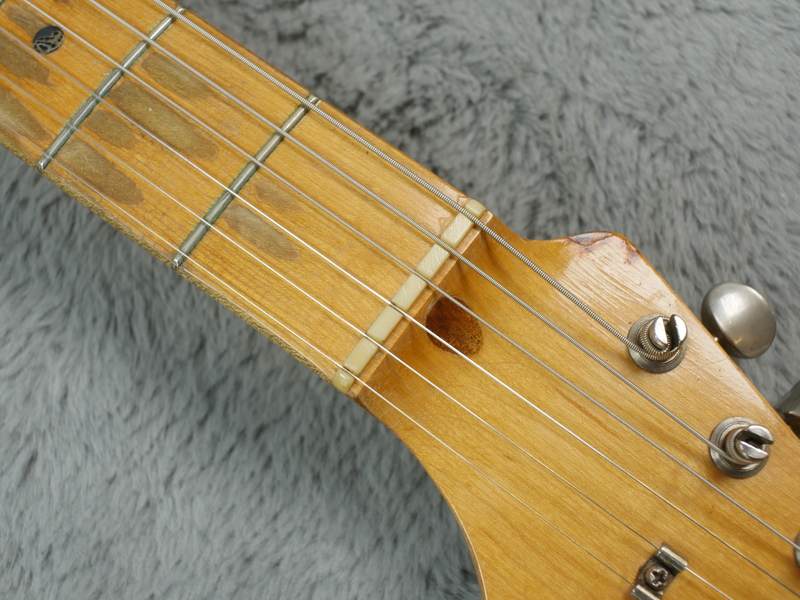 No sign of fade anywhere even when compared to the colour under the ABS single-ply pickguard. 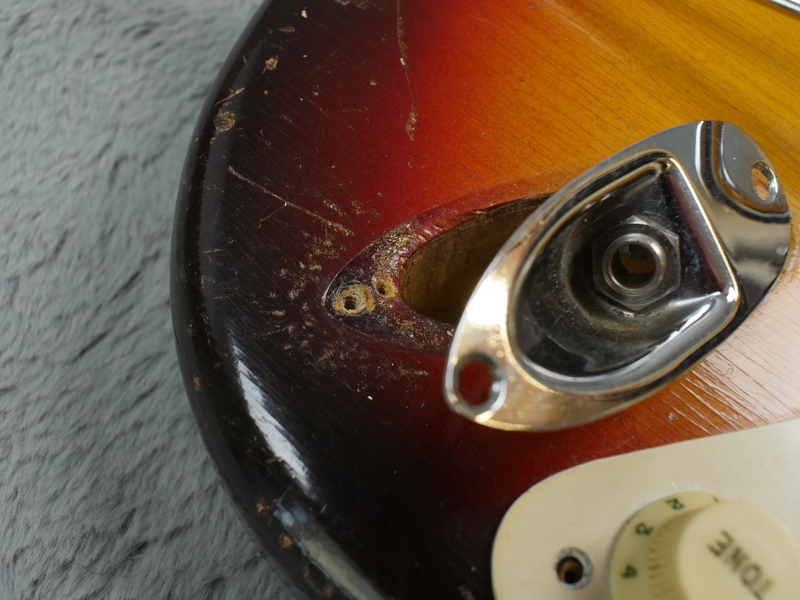 For sure there are the signifiers of 60 plus years of use, a few dinks and scratches here and there, but its always going to be the colour that you see first. 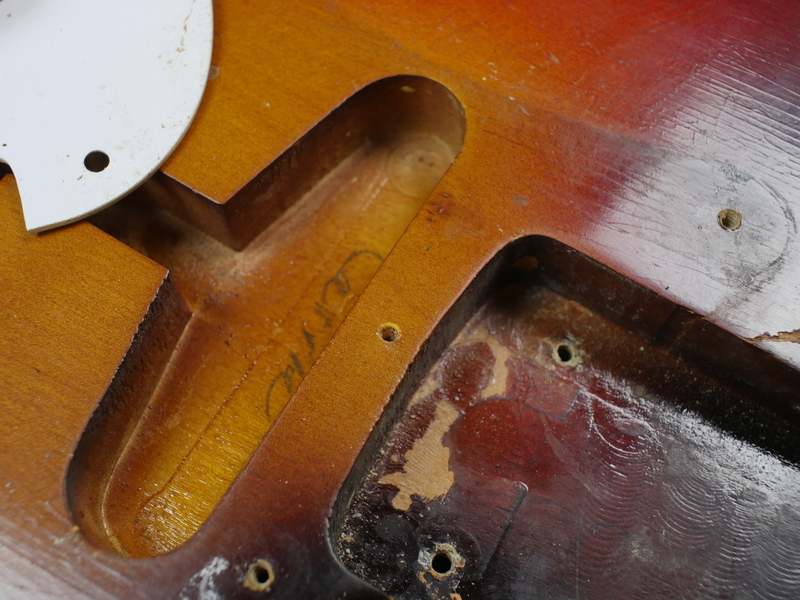 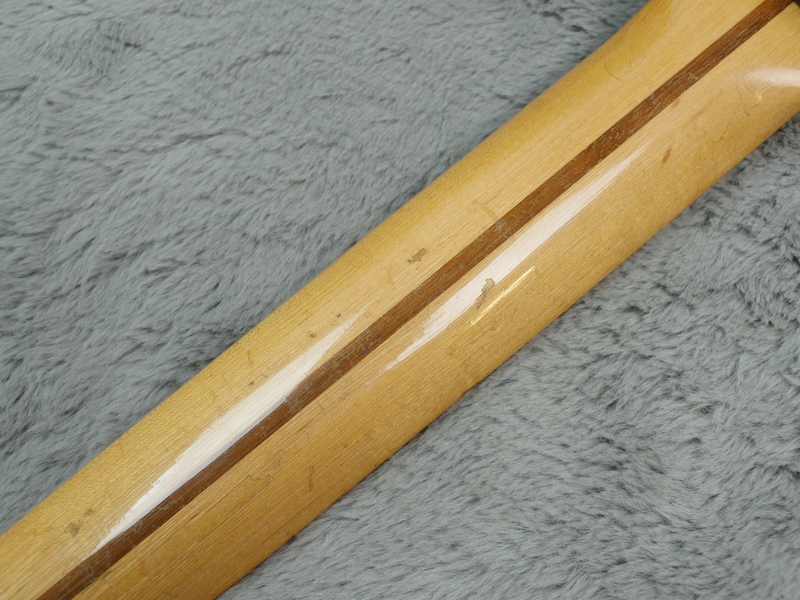 The grain of at the two piece alder body is definitely showcased here, particularity on the back. 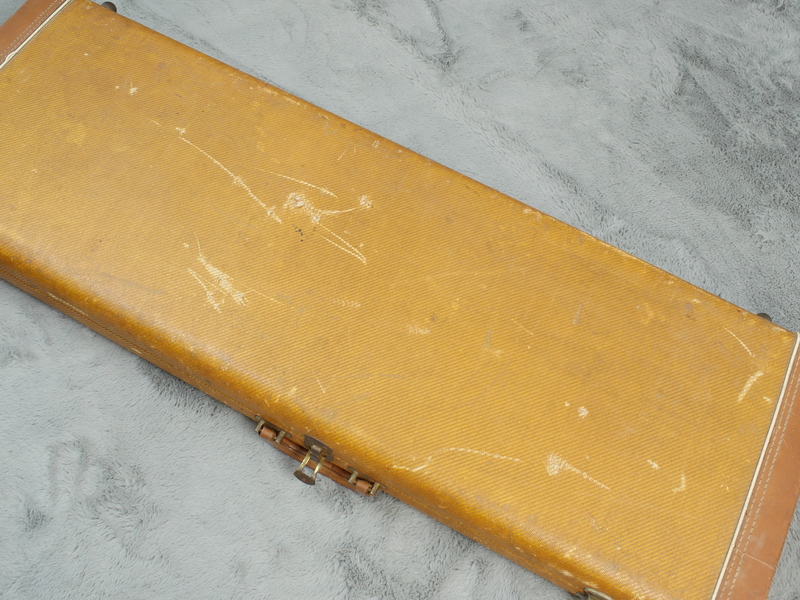 The guitar comes with a correct tweed case with red lining which is in good shape with all latches performing as they should. 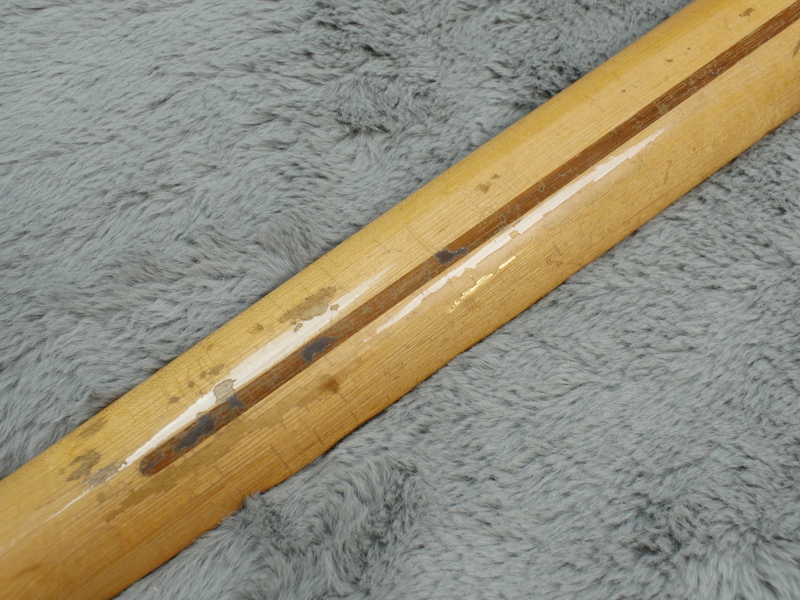 Weight is a really nice 3.34Kg so no one should be complaining after a couple of sets playing this down the local pub. 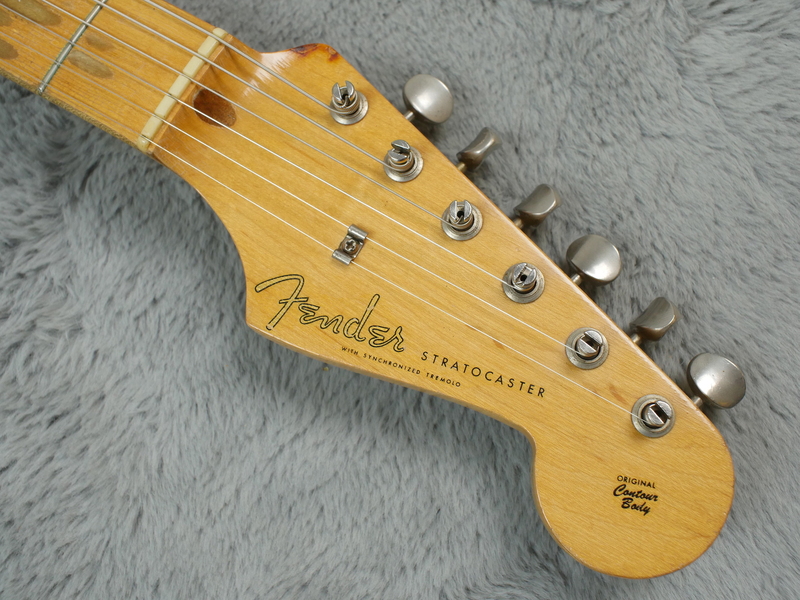 This guitar plays very well, a feeling of connection between you and the instrument. As with most of these 50s Strat, they’re wonderfully resonant and the wonderful single coil pickups just won’t let you put the guitar down. 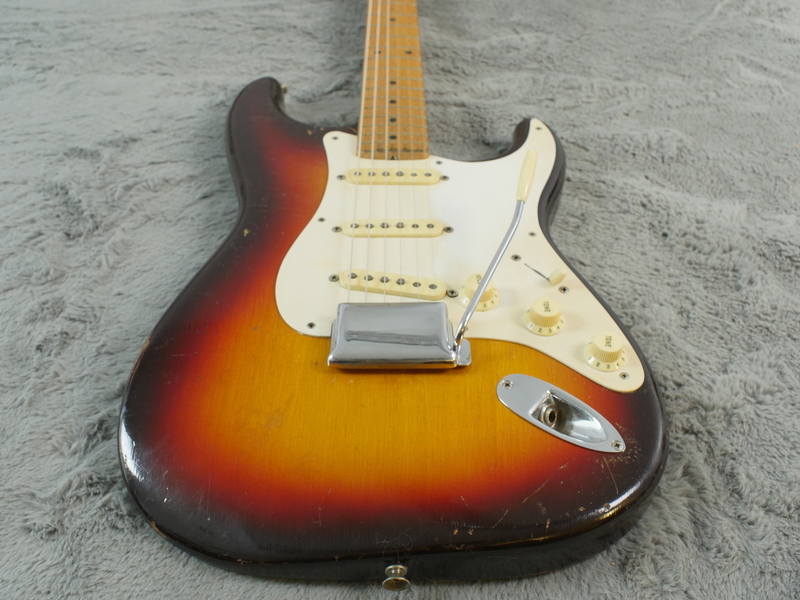 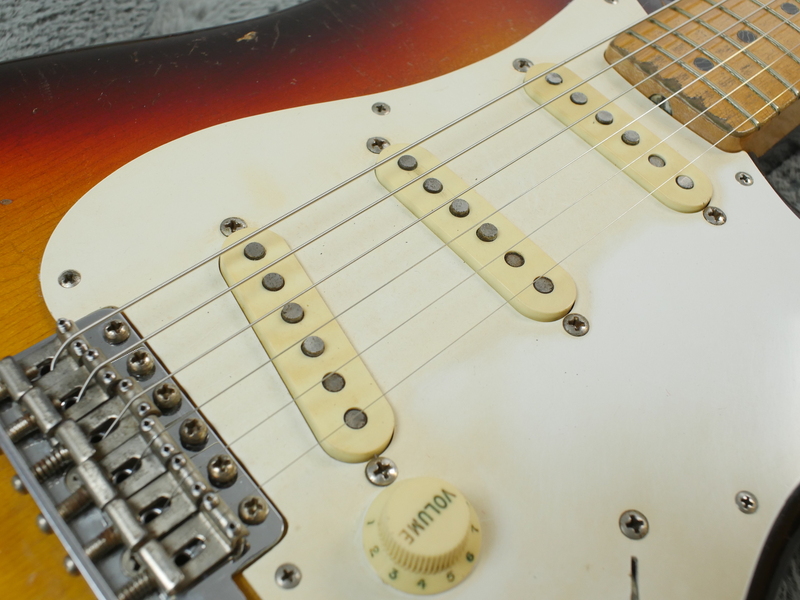 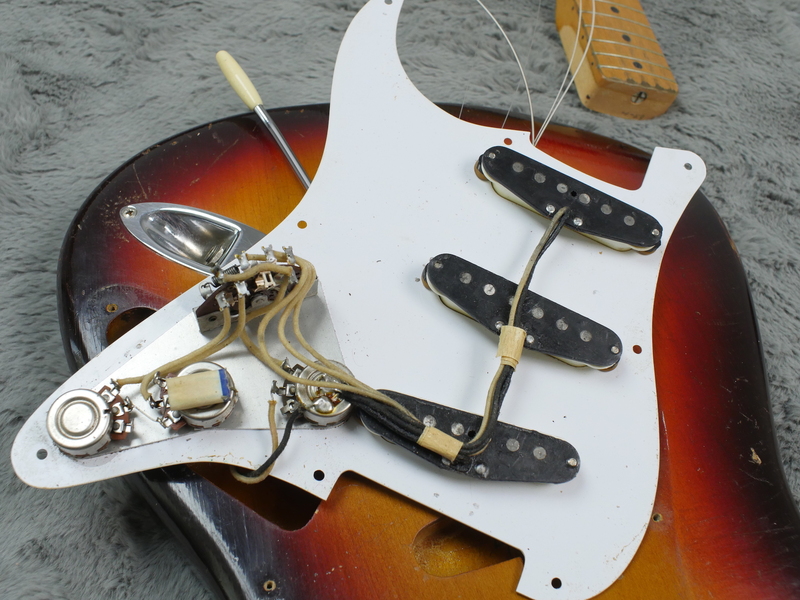 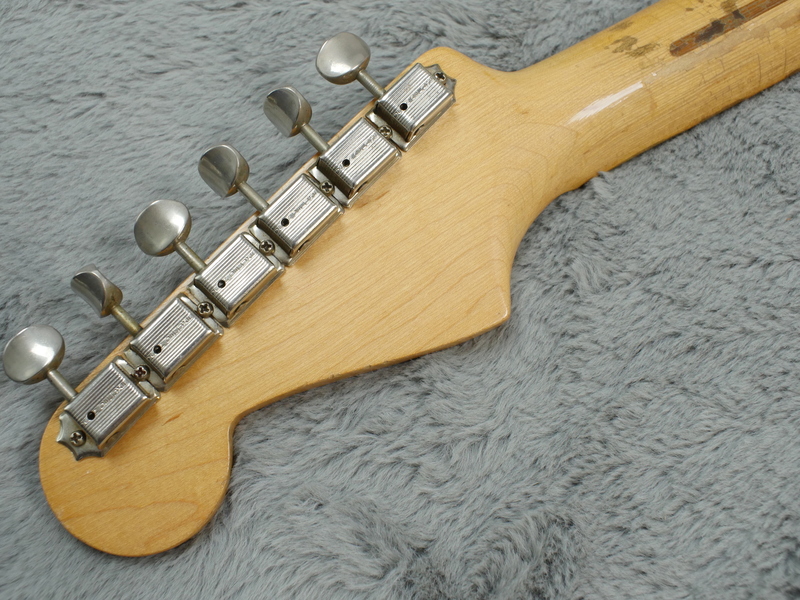 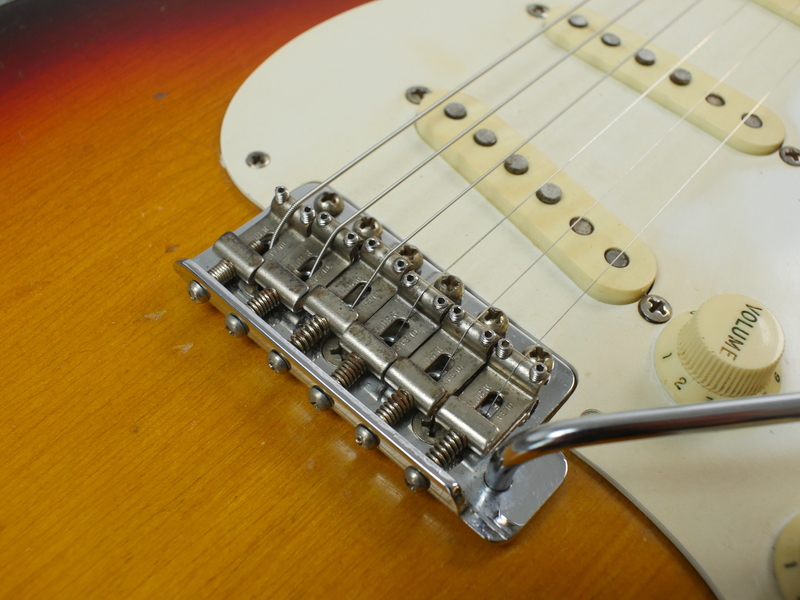 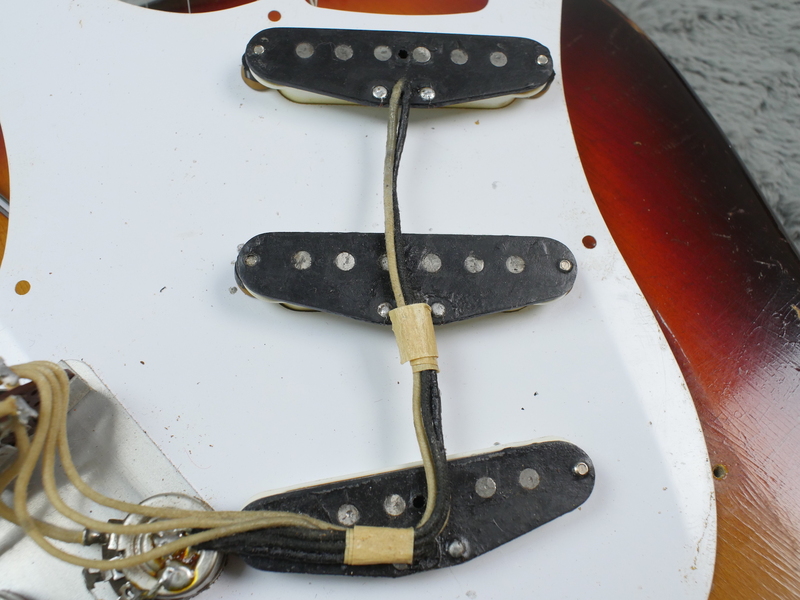 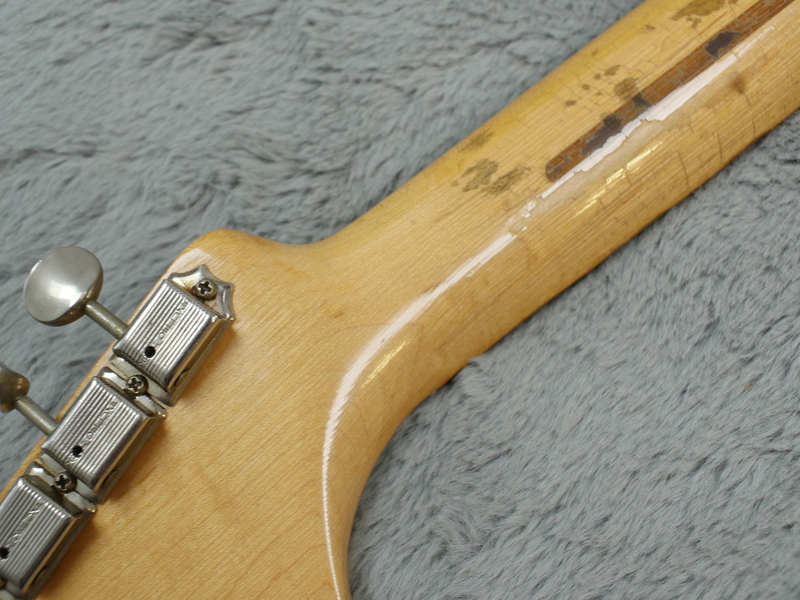 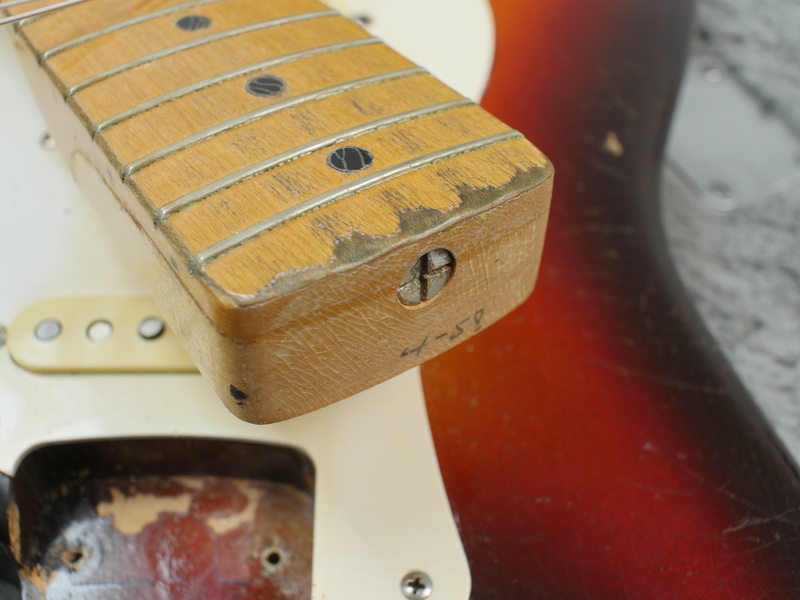 Theres magic inherent in these earlier Stratocasters, with an iconic feel and look that is undeniably. 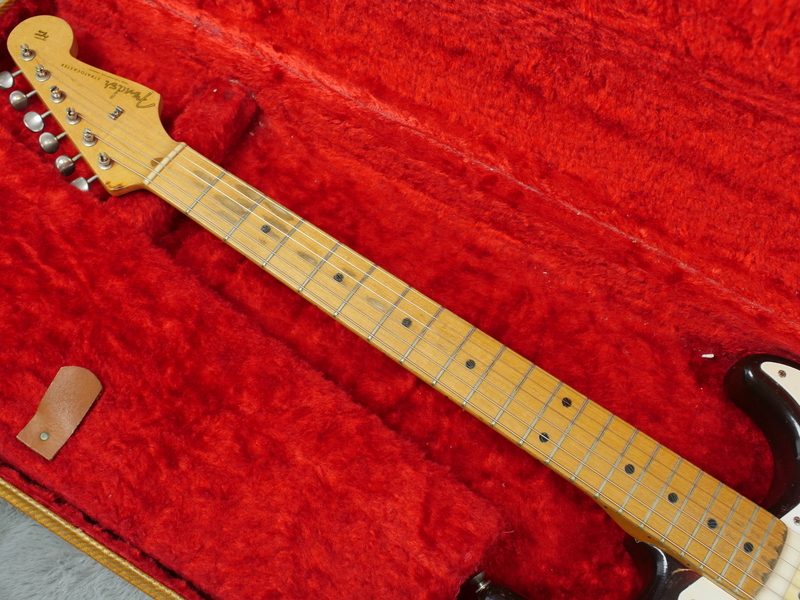 Get yours before it’s gone.